Conveniently located in historic downtown Carlisle, within walking distance to unique shops, attractions and Dickinson College. Welcome Car Show enthusiasts, U.S. Army War College students and all guests exploring the beautiful Cumberland Valley! 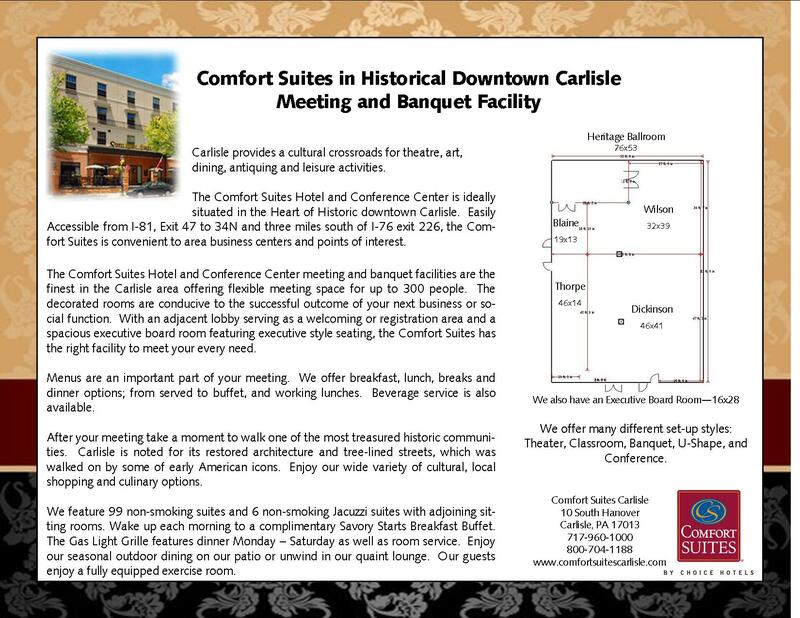 "This is my favorite place to stay in Carlisle. The employees are always gracious and helpful and the food is wonderful." - Joshua L.